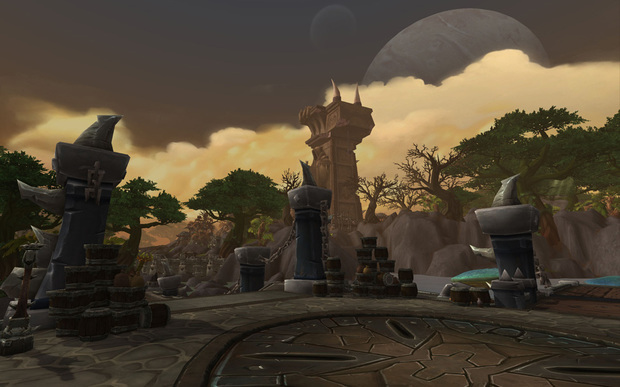 So you’ve heard the news: flying is coming to Draenor in a small patch due after patch 6.2. But getting it will take more than just opening your in-game wallet to shell out thousands of gold to a flying trainer. 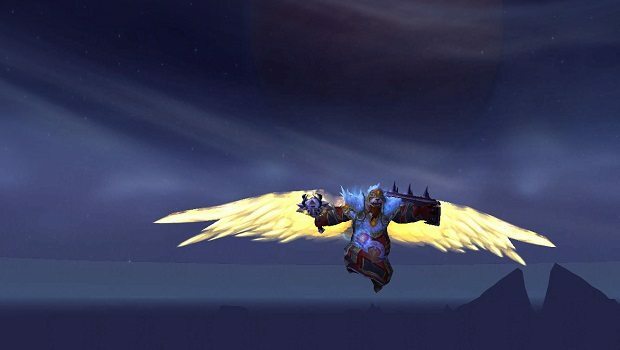 To fly in Draenor, you’ll have to jump through a few hoops to get the Draenor Pathfinder meta achievement — which requires you to have cleared through a lot of the continent’s content. On the plus side, once you’ve gotten the pathfinder achievement on one character, you have it on all characters, unlocking flying for any alts (or future alts). So while it is a grind to get, you only have to get it once and it will make bringing alts through Draenor that much easier (if that happens to be your thing). If you’ve been playing through Draenor since its release, chances are you’re well on your way to most of these (save Tanaan Diplomat, which will only be available after 6.2’s release). However, if you’re just getting started, you have a lot of content to climb through. We’ll break down each achievement. Probably the easiest achievement of the lot, Explore Draenor requires you to do just what you’d expect: fully explore the continent of Draenor. If you’re just getting started, we’d recommend doing this alongside Master Treasure Hunter and Loremaster of Draenor, because chances are you’ll get most of your exploration done while you’re doing this other stuff. Though Alliance characters need to explore Frostfire and Horde characters need to explore Shadowmoon, there’s no part of the zone that can’t be explored safely. 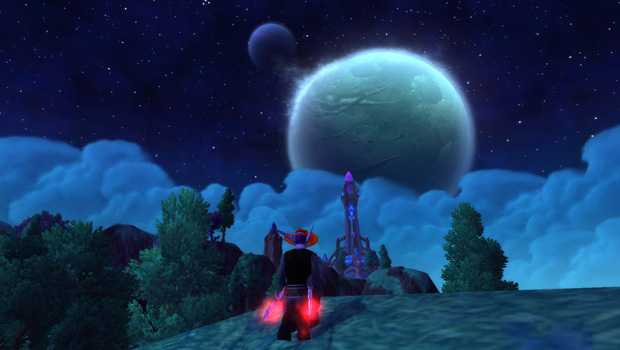 However, if you’d prefer, you can do different pieces of the achievement on different characters — while you need one character to fully complete each zone, completing Frostfire on a Horde character and Shadowmoon on an Alliance character will still count towards the Explore Draenor achievement. While most of these should be self-evident (i.e. explore any parts of the map you haven’t revealed yet), some aren’t so obvious. If you’re having trouble finding an area the achievement says you haven’t explored, we recommend hitting up your favorite search engine or checking the achievement links above — the comments on Wowhead are usually a great source of info on hard to find places. A new achievement coming in 6.2, Master Treasure Hunter requires you to collect 100 treasures in Dreanor. Though you’ll certainly come across a few while you’re leveling, getting to 100 will probably take some special effort. (Though, as mentioned above, it’s a good one to work on while you’re grinding away at exploration and loremaster achievements.) So just how do you find treasures? You can purchase in-game treasure maps for each zone after completing each zone’s story quests, which will show you treasure you haven’t discovered yet. Here’s what you’re looking for: Frostfire Ridge, Shadowmoon Valley, Gorgrond, Spires of Arak, Talador, and Nagrand. You can also pick these up from certain garrison missions, which are the only ways for Alliance players to get the Frostfire map or Horde players to get the Shadowmoon map. Since you already have to get loremaster achievements for the flying meta, buying these maps shouldn’t pose a challenge, but if you want to collect treasures as you quest you can do it with an addon instead. Download HandyNotes, which adds notes to your minimap, and then HandyNotes DraenorTreasures, which adds specific Draenor notes to your minimap. Many of these will only show up if you haven’t picked them up yet, but there are a few that will show whether you’ve picked them up or not. Still, it’s still an easy way to treasure hunt without having to find (or quest to) the maps, first. If you’re trying to figure out how many treasures you’ve already picked up, open your achievements tab and look for your treasure-hunting achievements. 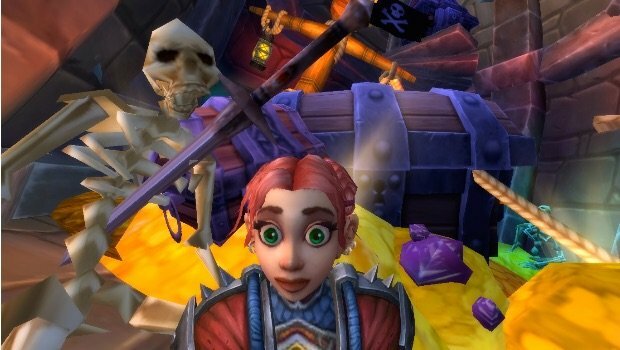 If you’re reading this prior to the 6.2 drop — when there’s no achievement for 100 treasures — and you’ve picked up more than 50 treasures, you’ll want to look for Grand Treasure Hunter, which will show you how many you’ve gotten so far. Remember, you don’t need Grand Treasure Hunter — just 100 treasures. Don’t be scared away by the “loremaster” in this achievement’s name — Loremaster of Draenor (Alliance) / Loremaster of Draenor (Horde) is perhaps the easiest of the loremaster achievements to get. Instead of requiring you to complete a fixed number of quests, which often led to hunting down every quest in a zone, Loremaster of Draenor simply requires you to finish the zone’s major story arc, completing each “chapter” of the zone’s story. Draenor’s quests are great and so are the cutscenes you get when you finish each zone, so we’d honestly recommend doing this at least once whether you’re interested in flying or not. As with the exploration achievement, you can complete different parts of this achievement on different characters — though one character has to do the entirety of each zone, you can have one character hit up Frostfire and a different one hit up Nagrand. But while this might speed progress towards the achievement if you have an army of alt’s each of whom has done a different portion of Draenor, for the average player it doesn’t make much difference — to complete the achivement, you have to complete Shadowmoon Valley if you’re Alliance or Frostfire Ridge if you’re Horde, but not both. The end result is there’s no urgent need to character hop. There’s no shortcuts to get this: you’ll have to check your achievement progress and then head to the appropriate zones and get questing. If you’re not sure where you left off in a zone — something that could be a real challenge for older loremaster achievements — just open your quest log. It should show you exactly how far you are into the story and even if you’ve since dropped the next quest, it should be indicated by an exclamation point on your map. If you’re having trouble finding where you left off, you can also use Wowhead’s profiler, which will let you know which quests in a zone you haven’t done to help set you in the right direction. All you have to do after that is keep questing until you get to the end of each zone — and be sure to enjoy the cutscenes as you complete each. We’re pretty sure that Securing Draenor (Alliance) / Securing Draenor (Horde) is the most difficult… or at least the most annoying… of the bunch. To get this, you’ll have to complete a dozen of the daily apexis quests in your garrison (which must be level 2 or 3) at least once. Not all apexis dailies are included — non-PVPers will be glad to see that the Ashran dailies aren’t on the list. However, you can skip the RNG elements of this with the proper application of garrison resources. You can buy Scouting Missives from your garrison quartermaster, either Sereant Crowler (Alliance) or Sergeant Grimjaw (Horde). Each missive gives you one of these quests immediately (for the low cost of 200 garrison resources), but there’s a snag: the pit daily isn’t available, so you’ll just have to wait for it to show up. Maybe it will spawn today… and maybe it will spawn next week, but you’ll have to wait for it to show up to finish the achievement. Order of the Awakened, an arakkoa faction that can be found in Lion’s Watch (Alliance) or Vol’mar (Horde). The Saberstalkers, a faction of hunters that can be found in Fang’rila in southern Tanaan Jungle. 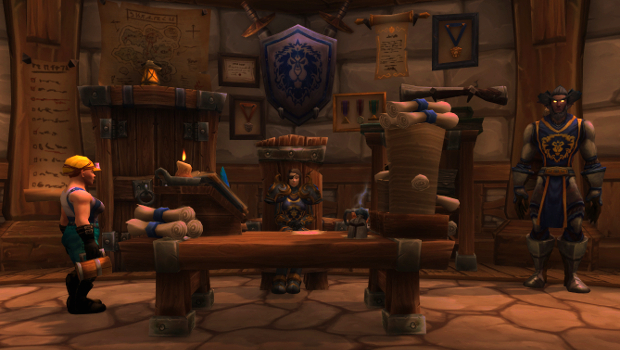 Hand of the Prophet, an Alliance-only draenei faction calling for a crusade in Velen’s name to overthrow Gul’dan. Find them in Lion’s Watch. Vol’jin’s Headhunters, a Horde-only faction looking to overthrow Gul’dan. Find them in Vol’mar. You can advance in these through killing mobs as well as doing daily and weekly quests. Expect to spend 19 days on the Alliance and Horde factions (unless you’re boosting your reputation gains beyond questing), but less for the other factions. 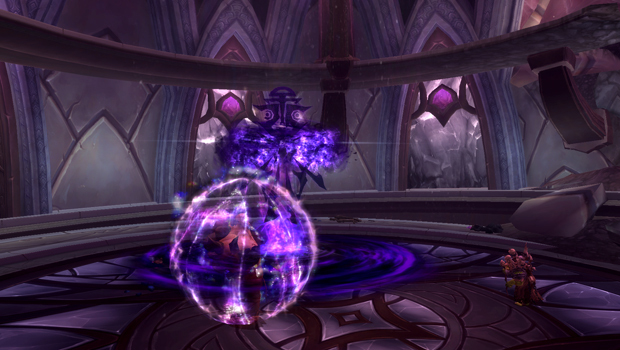 For all the details — plus the loot you can pick up along the way — check out our guide to the Tanaan reputations. Now good luck — and we’ll see you in the skies.